I stayed in Kampala. Here is the central city of Uganda and very busy. I met many people. It was so fun!! Please leave a comment freely!! 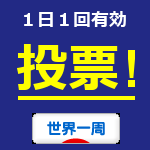 Choose 「名前/URL」 and fill your name in 「名前」 . The main language is Japanese in this blog. But I try to write some articles in Japanese and English. I hope you enjoy watching this blog! Unauthorized copying and replication of the photos of this blog. All Rights Reserved. 世界一周屋　~ Go around the world!! ~. 「画像ウィンドウ」テーマ. テーマ画像の作成者: Sookhee Lee さん. Powered by Blogger.